Sharp R-15AM is the ideal oven for cooking numerous portions time. With large volume and five preset power levels from 10% up to 100%, the choice is simple. 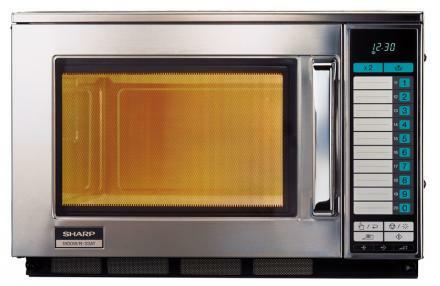 Sharp R-22AM is small and robust. 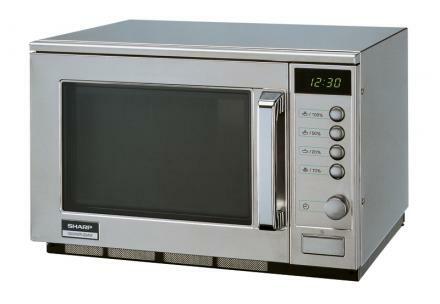 With 1500 Watts of microwave power and easy to use control panel, you can enjoy your cooking art. 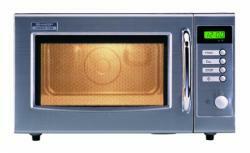 Stainless steel casing, long-lasting and easy to clean. Rotary switch for setting the time. Repeat cook. 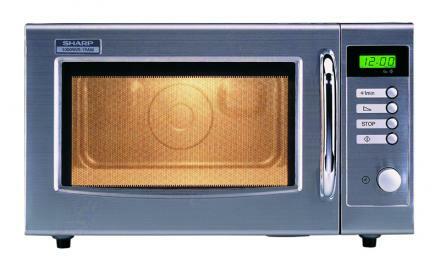 Sharp R-23AT is the right professional oven for anyone who knows how to do! With 11 different power levels from 10% up to 100%, you have the opportunity to prepare for example soups, hot drinks as well as dinner menus in short time. Hermelin is a comprehensive supplier of bar and restaurant equipment. We offer everything from professional microwave ovens, juice extractors and citrus juicers to atmospheric votives and eco-friendly lamp oil. We represent the brands Hollowick, Sharp and Ceado and that offers a wide range of professional bar and restaurant equipment of the highest quality.